I am planning for our 2015-2016 school year and am facing a new challenge. I have loved using Singapore Math (CA Standards edition) with my kids. Ashby has used the 1A-6B editions. Ryan has used K-3B so far. I appreciate the alignment with the (now defunct) CA state standards, which were among the most rigorous in the nation. Now that Common Core has replaced the state standards, however, I am less concerned about keeping our math curriculum aligned. 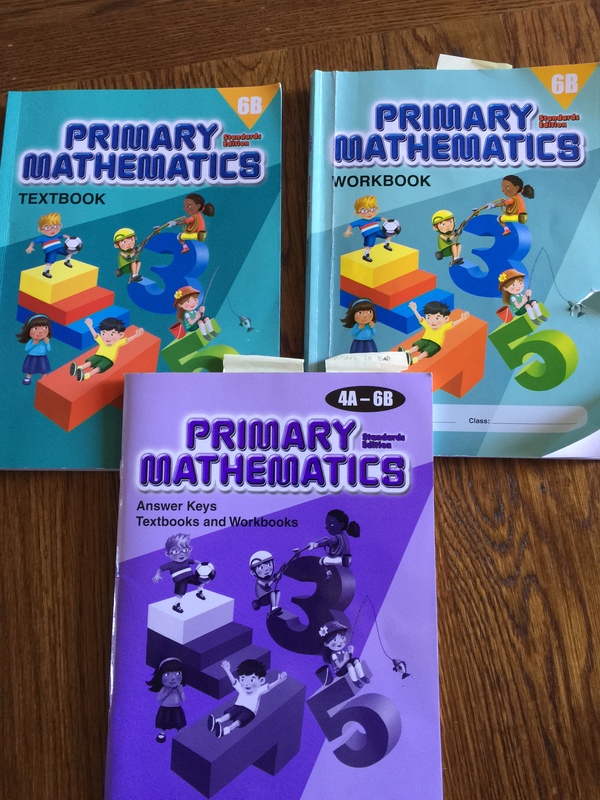 In fact, I have already purchased the 4A-5B Singapore Math Standards Edition materials I’ll need for Ryan (before they disappear). I skipped 6A and 6B, because I have found a new resource that I plan to use when he reaches 6th grade. (As for Sadie, she’s several years away from any math curriculum. I imagine our homeschooling will look different by then…significantly more heavy on technology. In any event, the gap in ages means that little miss Sadie will probably have all new curricula. in 6th grade. I know that it covers much of the same material as Singapore Math 6. But, the teaching style is different and requires more writing on Ashby’s part than she is used to with Singapore. So, my plan is to start it as usual and let Ashby set the pace. If she knows something already, we can skip it and, possibly, get started on Algebra 1 before the year is done. 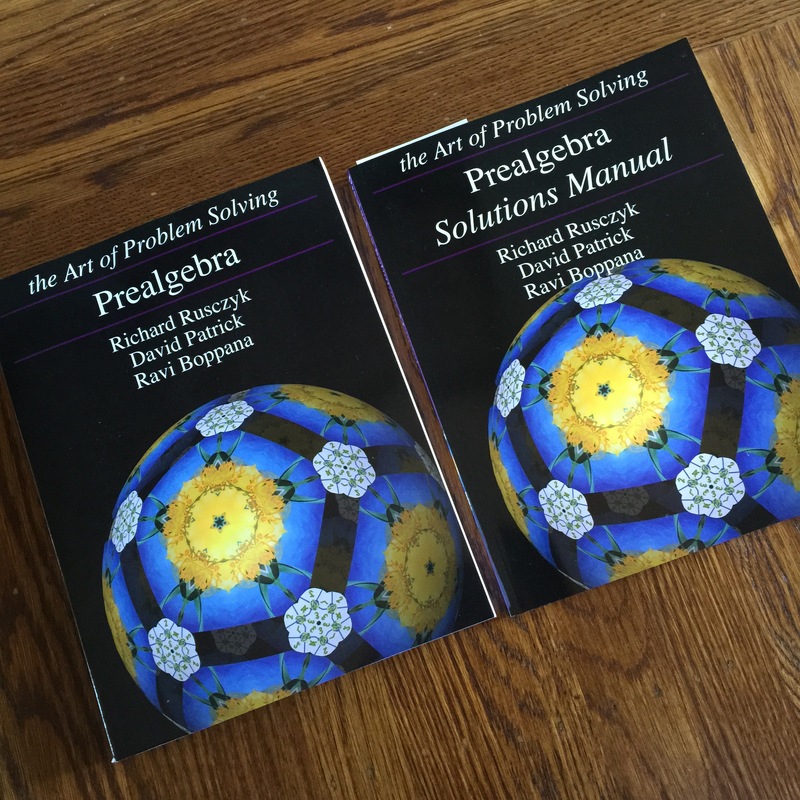 But, I didn’t want to jump right into Algebra 1 with a new math program. I figure it’s better to move fast through repeat material than to jump too far ahead and overwhelm her to the point of hating math. Ashby has done a few lessons already, as we (meaning I) decided it would be best to do some math over our summer break to prevent the dreaded “summer brain drain.” So far, she likes it. The AoPs website offers short videos on many of the topics, and Ashby enjoys watching them in between reading the lesson and doing the exercises. I’ll report back after the year is under way to compare Singapore 6 and AoPS Prealgebra. For now, on to scheduling 6th grade grammar! This entry was posted in Homeschool and tagged AoPS, Art of Problem Solving, Common Core Standards, Curriculum, Education, Homeschool, K through 12, Lesson plan, Math on July 22, 2015 by Marisa.